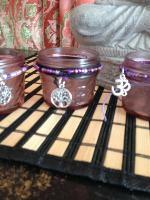 cord, leather or cotton cord attached. 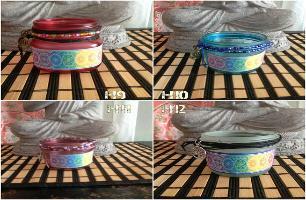 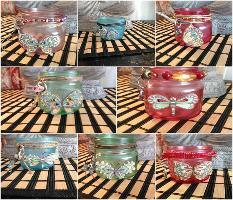 Each is accented with a charm that is listed in the description. 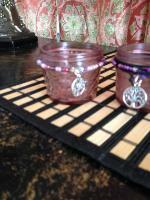 instead of candles because of accented material used and safety precautions as they might become flammable. 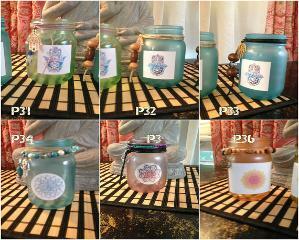 Pick up is available in Palmetto FL if you are in the area to save shipping charges and packaging. 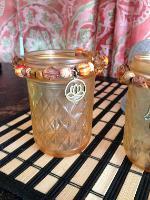 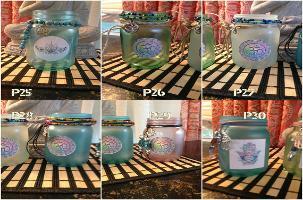 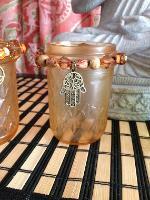 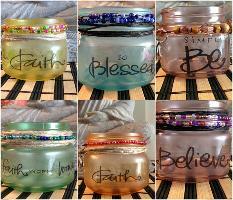 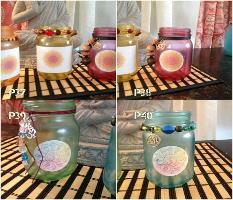 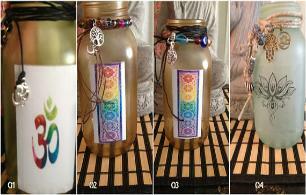 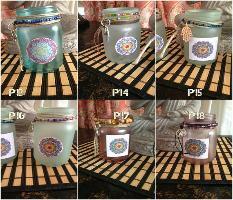 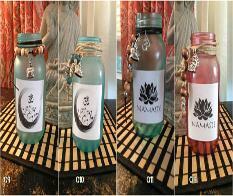 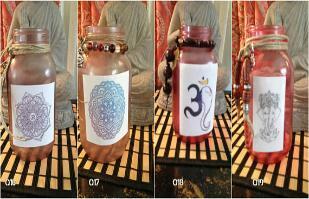 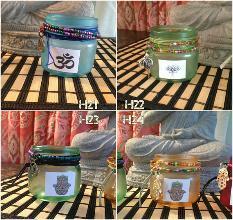 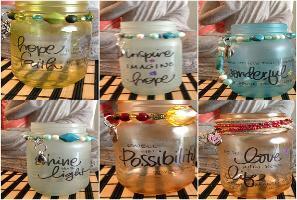 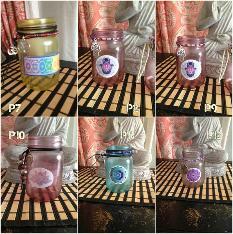 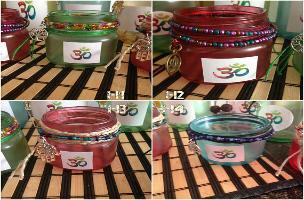 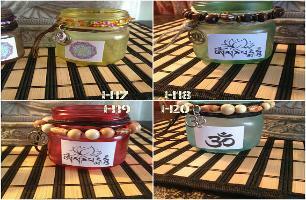 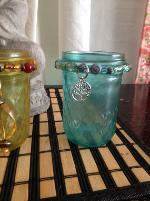 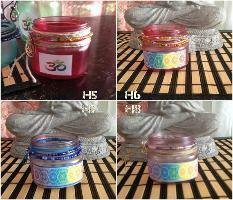 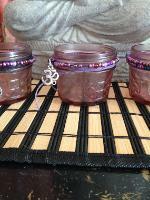 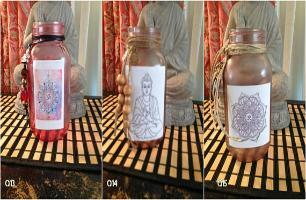 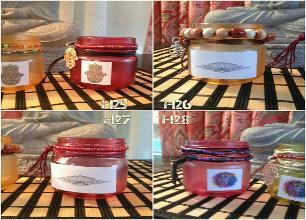 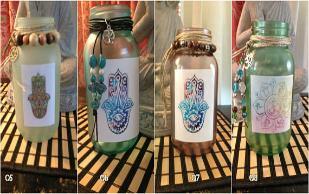 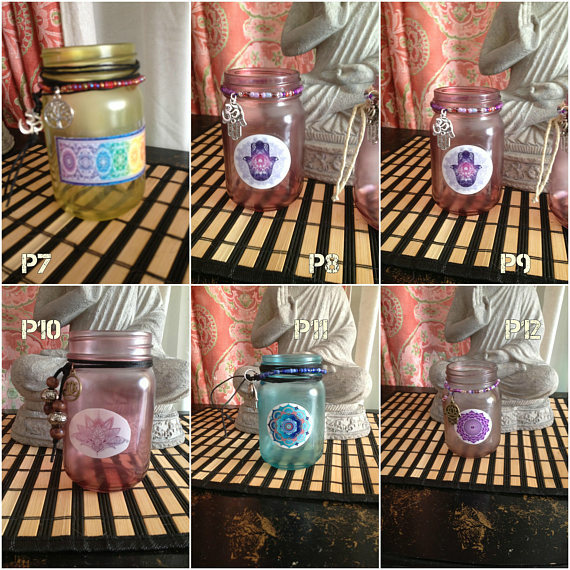 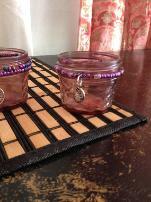 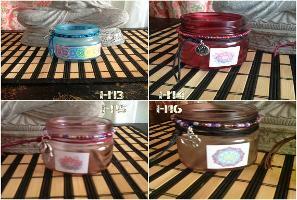 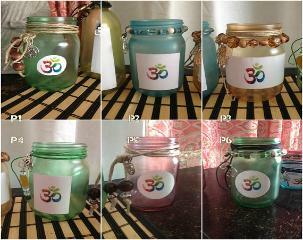 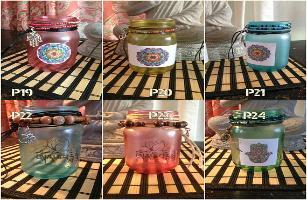 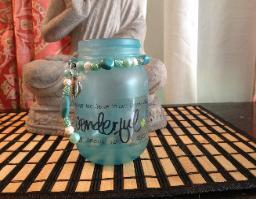 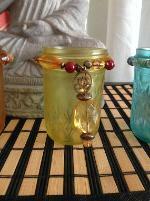 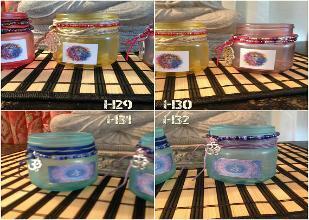 Visit my Etsy page Moments are blessed to purchase and description of each jar.